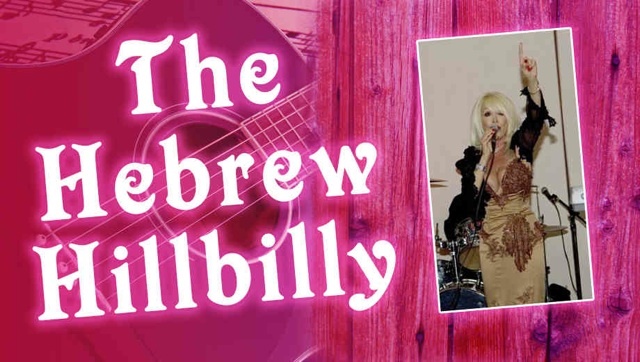 The Hebrew Hillbilly, written and performed by singer songwriter Shelley Fisher, is a musical one woman play which chronicles Ms. Fisher’s Hollywood odyssey that begins in the heart of the Mississippi Delta in her hometown of Memphis, Tennessee, birthplace of Rock ‘n’ Roll, Blues and Bar-b-cue. Growing up Jewish in the deep South with a flamboyant mother who frowned on her dating the local redneck boys, the Hebrew Hillbilly begins singing as a little girl and never stops. From her early years as a blonde bombshell, through her current incarnation as The Memphis Belle of L.A., Ms Fisher has been on a show business rollercoaster that slows down just long enough for her audience to climb on board this deeply personal, yet universally appealing and hilarious ride. The production is directed by Rory Mitchell and produced by Debra Ehrhardt, with 14 songs written by Shelley Fisher, Ken Hirsch (musical director and keyboard accompanist), and Harold Payne. JooTube visited the Santa Monica Playhouse where The Hebrew Hillbilly debuted its fall-run, for weekends through November 3rd. We spoke with Cantor Linda Rich, Johany Locayo, Shelley and composer Ken Hirsch, and Shelley's daughter, Melissa, whose life is referenced in the show.